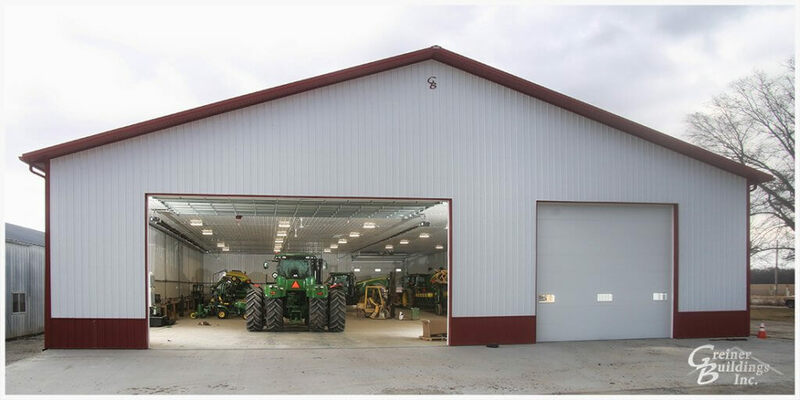 Illinois Post Frame Buildings | Greiner Buildings Inc.
Greiner Buildings, Inc is an Award Winning Post Frame Pole Barn Builder. Our Kewanee, Illinois office services the Eastern Iowa and Western Illinois area of the Quad Cities, including Davenport, Moline, Clinton, Iowa and Western Illinois area of Geneseo, Peoria, and Galesburg, Illinois. Our crews travel throughout the state to build your project. Greiner Buildings offers design services, FREE QUOTES, post plans, and construction. Lined and Insulated Machine Shed Farm Shop built in the Alpha, Illinois area. With over thirty years of being in business, we are happy to still be providing quality post frame buildings using quality products. We build new and repair Machine Sheds, Lined and Insulated Shops, Garages, Wedding Barns, Commercial Buildings, Hobby Shops, Cattle Sheds and more! Call for a FREE QUOTE (888)466-4139.